You can use a bonus action to speak this magic sword's command word, causing flames to erupt from the blade. These flames shed bright light in a 40-foot radius and dim light for an additional 40 feet. 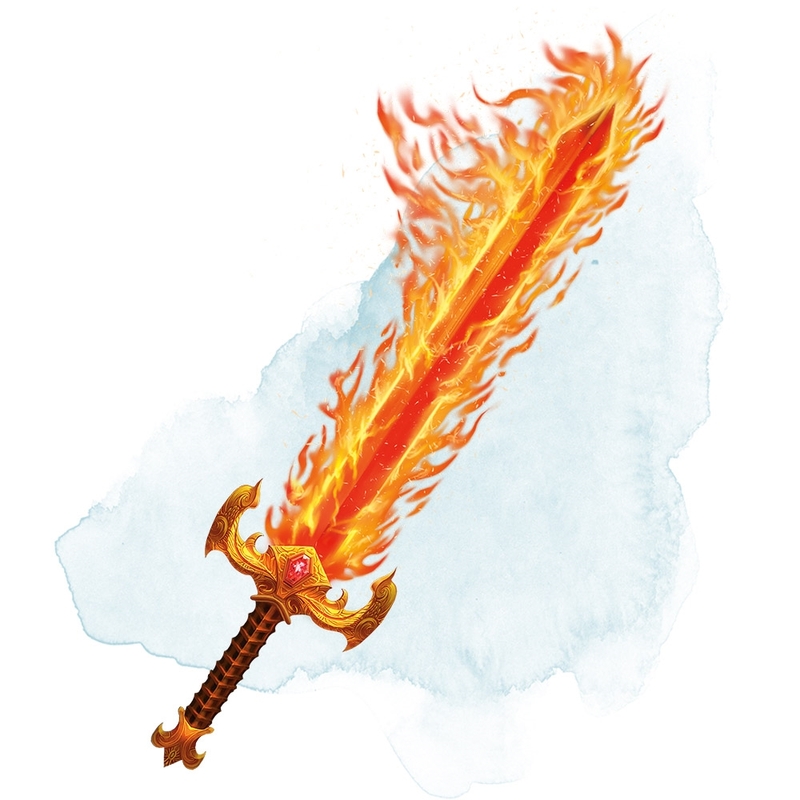 While the sword is ablaze, it deals an extra 2d6 fire damage to any target it hits. The flames last until you use a bonus action to speak the command word again or until you drop or sheathe the sword. Ah, this was my very first magic item. I've had so much fun using this thing. "Proficiency with a longsword allows you to add your proficiency bonus to the attack roll for any attack you make with it." Isn't it wrong? Your attack roll is the roll to hit. So this is saying if you are proficient in longswords you are also proficient in Flame Tongue. But what if the effect is on, let's say Rapier? Do you still need Long sword profficiency then? Ah! Excellent question Mr_Rav! The text would change to read "Proficiency with a Rapier allows you to add your proficiency bonus to the attack roll for any attack you make with it" if you decide to make Flame Tongue take the form of a Rapier.